"Banking on the Public" reads like a puff piece on behalf of the core group trying to push the state into the banking business. The article fails the tests of journalistic balance, factual exploration and skepticism. For starters, after broad criticism of Wells Fargo, the article says "most of Santa Fe's money is in Wells Fargo's vaults." Well, no. Only about 14 percent of Santa Fe's invested portfolio of about $240 million is with Wells Fargo, information readily available on the city's website. The concept of a state public bank is far from "barely known" and "catching steam." New Mexico explored a state economic development bank eight years ago (HB 290, January 2011). Analysis then by six different state offices found the idea deficient, impractical, risky, or not in comportment with state law. That Santa Fe task force that studied, and rejected, a city public bank did not tell the city to "engage wholeheartedly" toward a state public bank. It suggested that the city, along with state officials, should "investigate" the possibility and move the idea forward "if deemed appropriate." That has not happened. The article mentions the failed House Memorial Bill requesting a state bank feasibility study, but it ignores the bill's lengthy fiscal impact report that identifies questionable issues anywhere from problematic to dangerous: political cronyism lending, potential for under-collateralized loans jeopardizing the bank at the expense of taxpayers, and possible start-up costs, just to open the doors, of nearly $150 million, among the many issues. And the article ignores proposals for such state banks elsewhere that are going nowhere, not to mention failure of state banks in Puerto Rico and Delaware. SFR has provided the rose-colored glasses view of a public bank in New Mexico. For facts and balance on the topic, look elsewhere. Why not rationalize the tax code so that all properties get assessed at current market value and tax rates are adjusted so that long-time owners and residents pay no more than currently? Then limit increases of existing taxes to 3% annually, or whatever other number makes sense with respect to inflation rates. Voters can then approve additional taxes if a majority are so inclined. That would be a lot more equitable and fair compared to McQueen's proposed (and fortunately not passed) shell-game law wherein long-time residents try to sock it to more recent home buyers and owners of vacation homes and rental properties. Laws passed by a majority that selectively penalize a minority do not represent good government practices in my opinion. Wealthy part-time residents are less likely to question where the property taxes are spent—large chunks go to debt service and continual bond issues that are a bonanza for half a dozen charter schools (often agenda-driven) as well as for Santa Fe Community College and its tax-exempt foundation. The tax breaks should probably be reserved for year round residents or, at the least, seniors over 65. 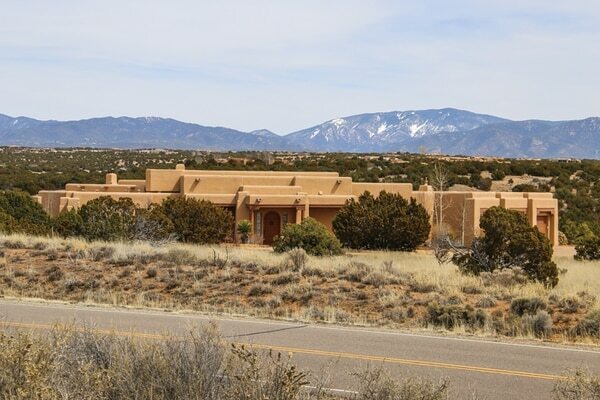 That said, don't discount the value of these second home owners to the economy of Santa Fe. Our primary home is in the Adirondacks of NYS where 50% of the homes are vacation homes used only seasonally. We love it. 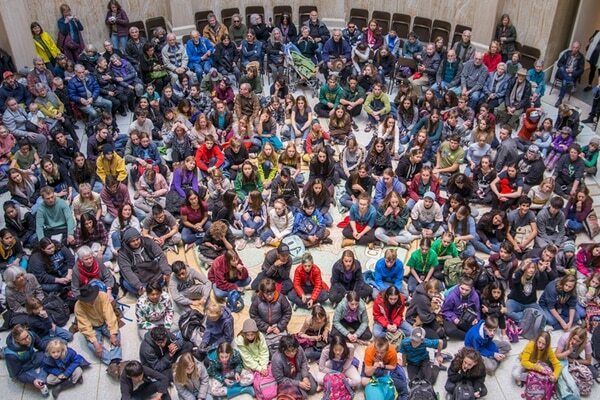 These folks pay school taxes but do not send their kids to our schools would otherwise necessitate more school buildings and teachers. Their seasonal use keeps the area quiet and residential. They also keep our restaurants full and support the arts scene in our area. I read once (a couple of years ago) that you could put your dirty pizza boxes in your bin. No worries! The grease will just burn off. Now, that's a no-no. Or maybe I read it wrong. The Eldorado community has a drop off spot (in LaTienda) that has a bin for "cosmetic" containers. So, am I not to put these in my bin? Should I thoroughly wash everything? Just rinse it? (I think it was) the Albuquerque Journal that published something a while ago trying to get folks to recycle as much as possible, encouraging all kinds of small items to go in the bin. But I just read not to put small items in the bin as they won't sort well. I have been putting little plastic things inside bigger plastic things. Is that bad? I've been putting little paper things in bigger paper bags. Bad? Good? Can I put juice box-like stuff in the bin? Like my soy milk containers? I think I can, but now I am not sure. Should I pull the little plastic spout off of it? Jars: Lids on, lids off? Now I hear that we aren't doing it right at all. China won't take our stuff cuz its not clean enough. So all this is to suggest that, if you have the time, space, and resources, could we have an article about what is right, and what we are supposed to do? The city and Mayor Weber didn't respond? As a taxpayer, I want a response and a plan in place to deal with chaos! My only hope is that if the auction earns more than the amount owed to the landlords that the owner is last in line to get any money—there are lots of people that are owed money by this crook. 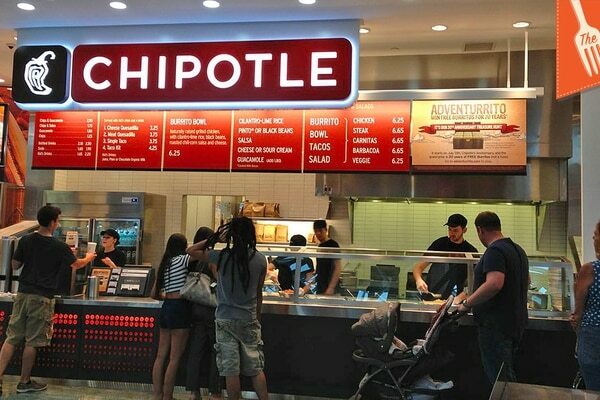 My heart goes out to those employees who unwittingly entered into this fiasco. They made some good beer, though. Every day I read your newsletter. Comes to me on my junk mail. I don't know how the hell I got it since I live in California and only visited Santa Fe and Taos once in 2014 but I look forward to reading it and absolutely love it! Makes my day! Great writing, great articles and just an all around great read. Will keep reading. Thanks for the pleasure your newsletter gives me. Do you want to be as happy as Larry? 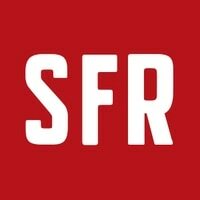 Head to SFReporter.com/signup and start getting our newsletters, including the Morning Word, a daily round-up of local news and headlines from around the state. Santa Fe's source for local news and culture since 1974.